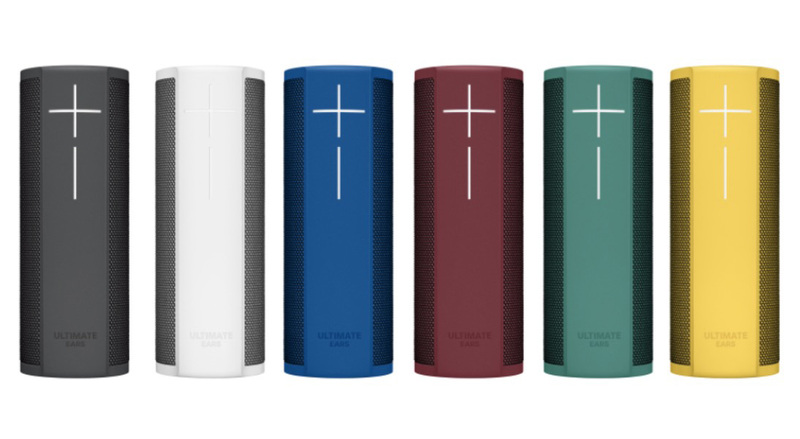 Ultimate Ears, the company behind the extremely popular UE Boom series of Bluetooth speakers, unveiled two new products today, the UE Blast and UE Megablast. These new speakers should be better that the Boom series in many ways, but the standout feature has got to be Amazon’s Alexa. Having Alexa along for the ride means access to all of Alexa’s skills including music controls, smart home controls, and general information gathering. Each speaker can be activated with the “Alexa” command as well. Both speakers retain their cylindrical figures and should look familiar, but we do have new colors to choose from (see above). Ultimate Ears also says to expect WiFi onboard, IP67 water and dust resistance, 12 (Blast) and 16 (Megablast) hours of battery life, and access to a new Ultimate Ears app that will update the speakers when new experiences and features are available. Over WiFi, you are looking at range of 330 feet, along with 150 feet over Bluetooth. For those not familiar with the naming scheme, the Blast is the smaller and more affordable of the two. The Megablast is the big dog that Ultimate Ears is calling their “best sounding speaker to date.” It sports custom drivers with more powerful mid-range, deeper bass, maximum sound pressure level of 93 dBC, and a 40% loudness increase over the Megaboom. Both devices are up for pre-order today and should arrive later this month. The Blast costs $229.99 and the Megablast costs $299.99.